Every time we yell out, “OK Google… navigate to Velvet Melvin’s” we feel like a Star Trek character. After all, you’ve never seen Captain Kirk (or Picard) using a keyboard. If you get that same feeling, and you have a Raspberry Pi project in mind, you might enjoy the Raspberry Pi LCARS interface. You can see the results in the video below. The interface uses PyGame, and you can customize it with different skins if you don’t want a Star Trek look. If you want to sell a toy for the toddler crowd, it ought to be pretty close to indestructible. A lot of toys out there are just plain nonsense game-wise and therefore waste their beefy potential. [2dom]’s wife was close to throwing out such a toy—a Little Tikes Goofy Ball. The thing literally does nothing but let you push its big buttons in. After some time passes, it pops them back out again and giggles. Game over. [2dom] rescued it from the trash and turned it into a toy that plays math games. [2dom] removed the existing board and replaced it with an Arduino Pro Mini and a Darlington array that drives the motor that pops the buttons back out, the speaker, and a Nokia 5110 screen. Upon startup, the user chooses between addition, subtraction, and multiplication questions using the appropriate button. Questions appear in the middle of the screen and multiple choice answers in the corners. Choose the right answer and the ball cheers and shows one of a few faces. Choose the wrong answer and it makes a buzzing sound and shows an X. There is an adaptive level system for the questions that [2dom] doesn’t show in the demonstration video after the break. For every five correct answers, you level up. His 3- and 5-year-olds love it. For more advanced teachable moments, there’s this toy-turned-enigma-machine. [Norwegian Creations] makes things as a business model. Tired of the mundane lamp above their heads, they decided to put their skills to use. The basic idea was simple, plot out a cool 3D function, put some RGB LEDs behind it, make it an awesome mathematical rainbow light display, hang it right above their desks, and then ignore it for their monitors while they worked. The brains of the project is a Raspberry Pi B+, WS2812 LED strips, and a Fadecandy controller from Adafruit. They 3D printed hexagonal towers out of clear plastic and labeled each carefully. Then they attached the strips to the board, glued on the hexagons, and covered the remaining surface in cotton balls to give it a cloud-like appearance. The lamp normally plays patterns or maintains a steady light. As the day turns to night it reflects the world outside. However, if someone likes their Facebook page the light has a little one robot strobe party, which we imagine can get annoying over time. Video after the break. Be the hero at your next hackathon with this foldable cnc. When the line for the laser cutter is four teams deep, you’ll come out ahead. It might even be accurate enough to pop out a quick circuit board. Though, [wwwektor] just wanted a CNC that could be taken from storage and unfolded when needed. Sit it on a kitchen table and cut out some ornaments, or hang it from the front door to engrave the house’s address. Who needs injection molded chrome plated numbers anyway? It’s based around tubular ways, much like other 3D printed CNCs we’ve covered. The design’s portable nature gives it an inherently unstable design. However, given the design goals, this is reasonable. It uses timing belts, steppers, and ball bearings for its movement. The way the frame sits on the table it should deal with most routing tasks without needing adjustment to stay in plane with the surface it’s set-on. As long as you don’t need square edges. There’s a video of it in operation after the break. We love these forays into unique CNC designs. We never know what new idea we’ll see next. The spec bullet list for the latest Raspberry Pi begins as you’ve already heard: WiFi and Bluetooth, now standard. While this is impressive itself, it doesn’t tell the whole story. The Pi 3, with an ARM Cortex A53, is up to 50% faster than the Pi 2 from last year. That’s an astonishing improvement in just 12 short months. 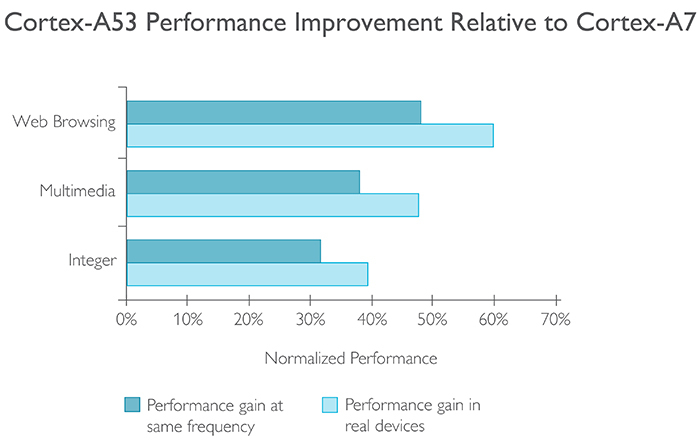 In real devices, the performance improvement from the Pi 2 to the Pi 3 is somewhere between 40 and 60 percent. At least that’s what ARM and the Raspberry Pi foundation are claiming. Is this true? There are tests we can run, and the marketing speak, for once, isn’t too terribly off the mark. 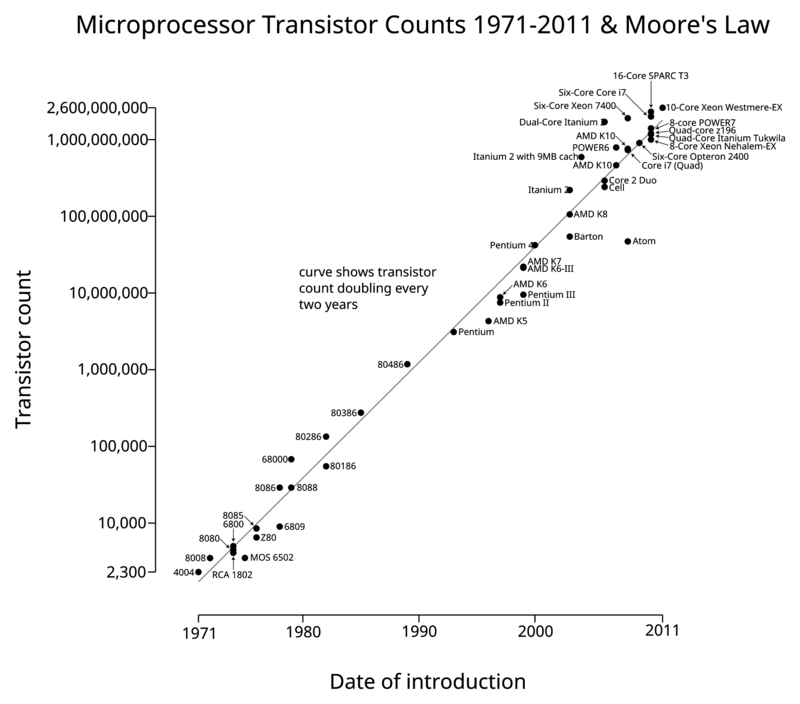 According to this article in Nature, Moore’s Law is officially done. And bears poop in the woods. There was a time, a few years back, when the constant exponential growth rate of the number of transistors packed into an IC was taken for granted: every two years, a doubling in density. After all, it was a “law” proposed by Gordon E. Moore, founder of Intel. Less a law than a production goal for a silicon manufacturer, it proved to be a very useful marketing gimmick. Rumors of the death of Moore’s law usually stir up every couple years, and then Intel would figure out a way to pack things even more densely. But lately, even Intel has admitted that the pace of miniaturization has to slow down. And now we have confirmation in Nature: the cost of Intel continuing its rate of miniaturization is less than the benefit. We’ve already gotten used to CPU speed increases slowing way down in the name of energy efficiency, so this isn’t totally new territory. Do we even care if the Moore’s-law rate slows down by 50%? How small do our ICs need to be? Graph by [Wgsimon] via Wikipedia. Raspberry Pi Zero Round 1 Winners! The Raspberry Pi Zero Contest presented by Adafruit and Hackaday has been going incredibly well! We currently have 132 projects entered, and there is still time for YOU to get in on the fun! The only problem entrants have had is getting their hands on these amazing $5 computers. We’ve made that easy by giving away ten Raspberry Pi Zero boards. The following projects were well documented, well thought out projects were selected by the judges. We’ve already informed the winners through Hackaday.io, and will be shipping out the Pi Zero boards to them right away. Please join the judges and the entire Hackaday staff in congratulating the winners of the Pi Zero boards! If you didn’t win, all is not lost! There is still time to enter the contest. The deadline is 11:59 pm PST on March 13, 2016. You’ll be in the running for one of three $100 gift certificates to The Hackaday Store!